A profusion of colorful, scintillating aurora borealis crystals stand out against their dark hematite starburst setting. 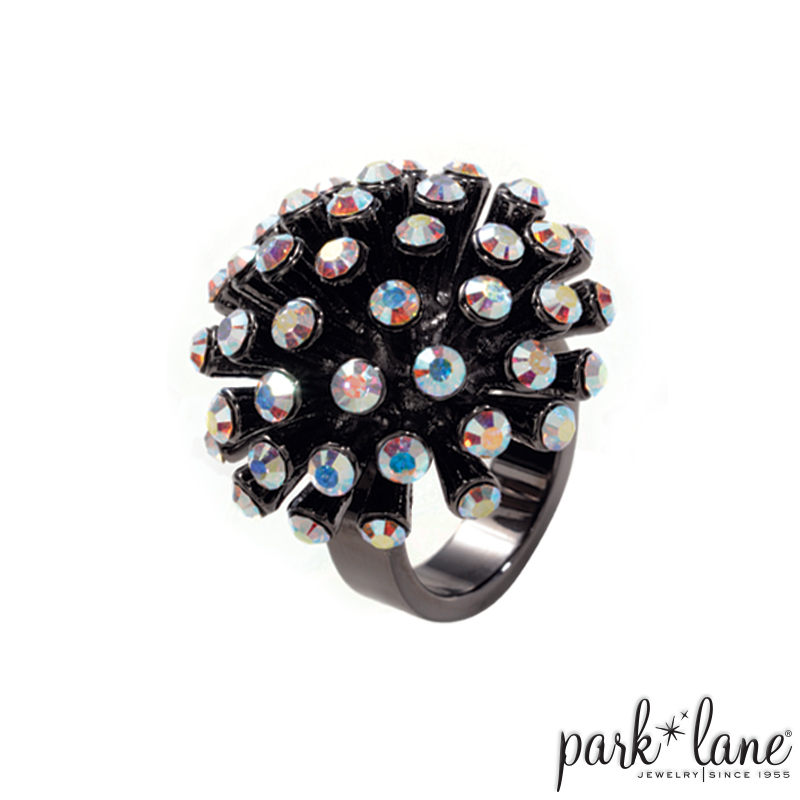 This magical cluster ring gives off a beautiful AURA! Perfect with all hematite accessories, and a great match to Love Potion and Starstruck necklaces.